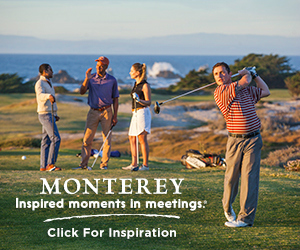 San Jose meeting hotels are well-suited for business events and meetings. Available choices range from the Santa Clara Marriott, with a 16,000-square-foot meeting room, to the Fairmont San Jose, which includes a multimedia theater capable of seating 3,000 in its 65,000 square feet of meeting space. For planners seeking something different, San Jose meeting hotels offer many options outside the usual. The Dolce Hayes Mansion gives a touch of retro style to its 35,000-square-foot space, and is easily accessible from both San Jose and San Francisco. Sort By: Cvent Picks Alphabetical Distance Number of Sleeping Rooms Total Meeting Space What's this? Everything you need to meet the way you like, with 4,700 square feet of meeting space, adjacent to San Jose International Airport (SJC), and close to downtown San Jose and Silicon Valley’s tech companies. The perfect hybrid of high-tech and high-touch that inspires a new take on meetings. Enjoy fast WiFi in & 5 star culinary just 3 miles from San Jose International Airport. Innovate, create & connect steps from the urban vibe of our bustling downtown. Hyatt Place San Jose/Downtown offers five unique meeting spaces all centrally located on one floor. Hyatt Place hotel features 236 guestrooms and suites as well as nearly 7,000 square feet of flexible meeting/banquet space. Located in the heart of Silicon Valley, Fairmont San Jose sets the standard for extraordinary service and deluxe accommodations. The hotel's 65000 square feet of function space can accommodate everything from large conventions to intimate receptions. With 50,000 square feet of newly renovated meeting space, The Doubletree by Hilton San Jose is the premier venue for your next meeting or convention. Our exceptionally high levels of personal service and dedication to detail ensure a memorable event. The Hilton San Jose hotel, located in the heart of Silicon Valley, connected to the San Jose McEnery Convention Center, provides nearly 33,000 square feet of versatile function space alongwith 353 luxurious guest rooms featuring thoughtful amenities. Our modern, sophisticated hotel offers a plethora of amenities; spacious guest rooms, the San Fresco restaurant, Lobby Lounge, room service, an outdoor heated pool and 12,868 sq. ft. of flexible meeting space. 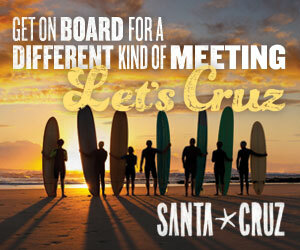 San Jose is ready to make your meeting or event a great success. Whether your planning a large conference or an intimate event, we have the exhibit space, facilities and meeting space for you. Meetings and events are flawlessly executed in our function rooms, which combine vintage charm with state-of-the-art technology. Catering can be provided by Il Fornaio, our acclaimed restaurant specializes in fresh, authentic Italian cuisine. Hotel De Anza offers the ultimate combination of classic architecture, modern comfort and exceptional hospitality. Located in the heart of downtown San Jose and within walking distance to restaurants, attractions, and the San Jose Convention Center. Hotel Valencia Santana Row is situated in the vibrant Santana Row urban oasis,in the heart of San Jose and the Silicon Valley. This European-inspired neighborhood of Santana Row is home to a dynamic mix of upscale shopping, dining and entertainment. 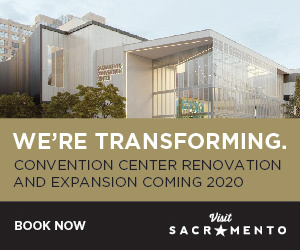 In San Jose McEnery Convention Center meeting planners will find plenty of space inside the convention center. We have the ability to host events of all types and sizes by offering: 143,000 square feet of column-free exhibit space. Welcome to Homewood Suites by Hilton San Jose North. Located just off Southbay Freeway, our stylish hotel is 2 miles from Levi’s Stadium and the Santa Clara Convention Center, and close to Dell, IBM, Intel, Oracle and Samsung offices. Courtyard San Jose Airport hotel is half a mile from Mineta San Jose International Airport and three miles from downtown San Jose. Our hotel offers 139 guest rooms & 12 suites with 1250 sq/ft of meeting space.